We hope you are pleasantly surprised by our Airport Accommodation solutions and highly competitive pricing. We would like to take this opportunity to assure you of our award winning standards. 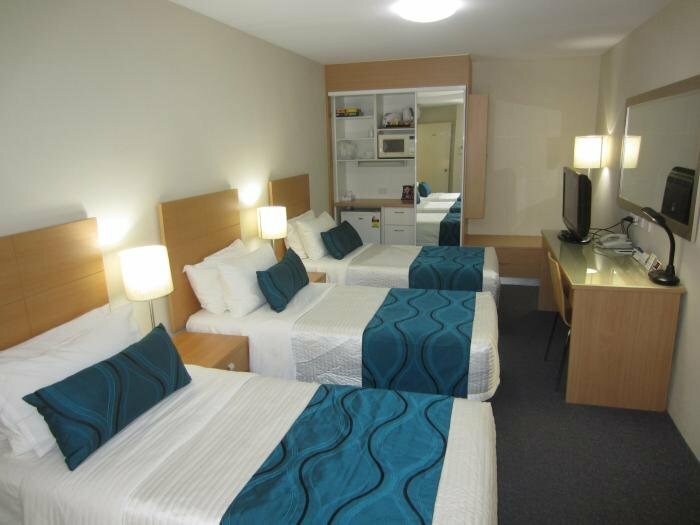 As the motel has been in operation for over 20 years, we can naturally provide all the services that other airport motels advertise with one important difference we offer a relaxed stay with personalised and friendly service. Night Bell, Licensed Restaurant on site open Monday to Friday 6.30pm to 8pm at reasonable prices . Swimming pool - outdoor with BBQ in under cover setting, Free parking whilst staying with us. Free Wireless Internet facilities, Guest Safe, Fox Sports and Movie channels, Free continential breakfast for our guests in our dining room from 6.30am to 9am. 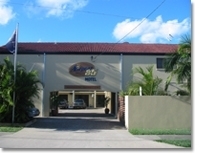 Easy access to Bus/Train/Ferry direct to Brisbane City, airport or further. CLose to the ferry terminal and also Eagle Farm and Doomben Race Courses. Short 10 minute walk to Bretts Wharf where the city cat departs. Our office is open 6.30am to 9pm for late arrivals please ring office in advance to orgainse after hours checkin. 07 3268 4966 to check availability. 1 Free car parking space whilst staying with us. The Bus and Train are just outside our door. Trains run every hour from 6am 'till the last train at 6.30pm, to ensure a good night's rest. Buses are running every 30 minutes, direct to the City or just to our local City Cat Ferry Wharf. Enjoy Brisbane by water, the CityCat Ferry Service runs every 30 minutes 7 days a week. Taxi's from the Domestic and International terminals cost between $16.00 and $22.00. If you are driving from either terminal travel to the end of Airport Drive and join East West Arterial Road to turn left into Nudgee Road and travel for 2Km where you will turn left at the traffic lights at the railway crossing and we are located 200 meters down on the left. Enjoy the Best Brisbane Has to Offer.